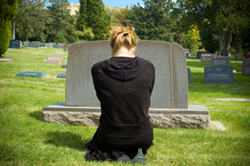 Many people have suffered some kind of loss of a loved one through death. Personally, I’ve lost both sets of grandparents, my father, two uncles and four aunts, not to mention family friends. But nothing prepared me for the questions — and complications — that followed my sister’s death. My sister died on September 18, 2009 . She was found in her home on the bathroom floor. My sister and I shared a wonderful relationship, one of unconditional love and acceptance. It was a relationship that I thought was relatively normal between sisters. I have since learned, through sharing my story, that our relationship was unique. When I received the phone call of her death, I literally felt like my world paused. My Sandra, my sister, was gone, dead. At 58 years old, I would never see her again, never hear the sound of her voice, never share the laughter with her. My sister, whom I often referred to as my anchor, had left me. Left me to float adrift on the wide open sea. The Why question was big for me. The How question was even bigger. At 2 p.m. on the same day, my niece, my sister’s only child, called me to tell me her death had been ruled a homicide. My world had paused at 9 a.m. with the first phone call; now it had stopped. Homicide? Murder? My sister? The Why became bigger. Then I added the Who question. Of course, the How was still there too. Then When followed close behind. My husband and I lived 800 miles away from the rest of my family. I remember that 13-hour drive back home. Going over those questions again and again in my mind. My husband and I discussed the Why? A stalker, an ex-husband, a robbery, a gang? My sister lived in a relatively safe neighborhood. She was a school teacher with apparently no enemies. Everyone who came into contact with my sister seemed to love her. So the Why question was mind boggling. The Who became equally as big as the Why. I immediately thought ex-husband. No one could convince me otherwise. I knew it was him. I didn’t know why, but I answered the Who for myself. Wrong or right, that was my answer. On that drive, I also questioned How. Was she shot? Beaten? Raped? I so desperately needed that answer. Now, looking back on the How question, I realize maybe it was not that important. Did it really matter how? She was gone, regardless of how it happened. It did to me. My sister was violated in the worse possible way and in turn I felt violated. I needed the How answered. I was told they found her body at 9 a.m. on her bathroom floor. Had she been there all night? Had she been tortured? The question of When suddenly became very important to me. When exactly did my sister die? I know the exact time my father died. I needed to know the exact time my sister died. In that 13-hour drive, I cried, I sobbed, I screamed, I begged God to take it back. My husband drove and I began the long journey of grieving. We arrived at my daughter’s home at 4 a.m. The moment my daughter circles her arms around me, I felt our roles reverse. For the next seven days, she would become the mother and I the daughter. I hoped and prayed that all the questions would be answered. Sad to say, they were not. My younger brother was murdered on Aug 12,2009. This happened when he was traveling in the Phillipines. I am still devastated. I am so terribly sorry to hear about your sister, and I am putting you in my prayers. You are not alone. Hi,my brother 21 years was murdered on the 31 october 2011 and he was with his girlfriend who was also shot,thank God she survived.WE dont knw why and we dont knw who,but i knw God is gonna get us thru this.keep up with your articles it helps knowing you not alone. I am so sorry for the loss of your brother. It always saddens me to hear about yet another life taken so tragically. You are just beginning your journey of grief and I hope you do know that you are not alone. You can also find more reading about homicide under the community tab on the Open To Hope Website. Write me anytime.